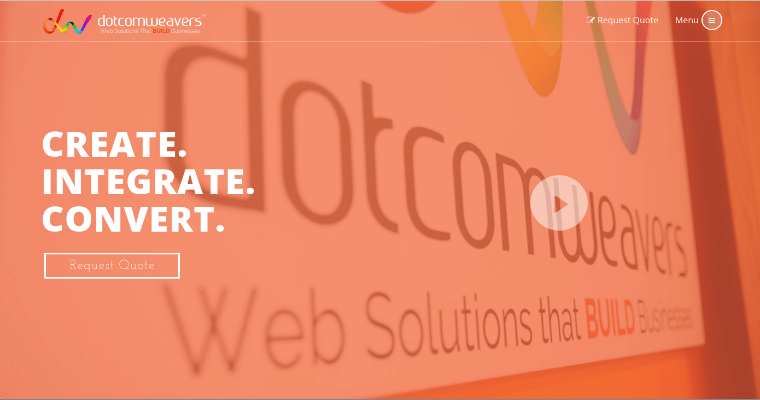 Dotcomweavers is a highly acclaimed firm that specializes in both web development and design. The prolific full-service agency has finished more than 300 development and design projects for clients so far. 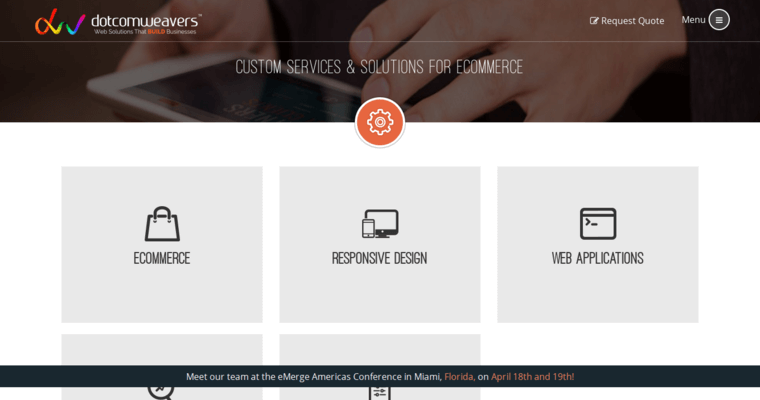 Dotcomweavers names eCommerce, responsive web design, web applications, search engine marketing, search engine optimization and mobile applications as being among their provided services. 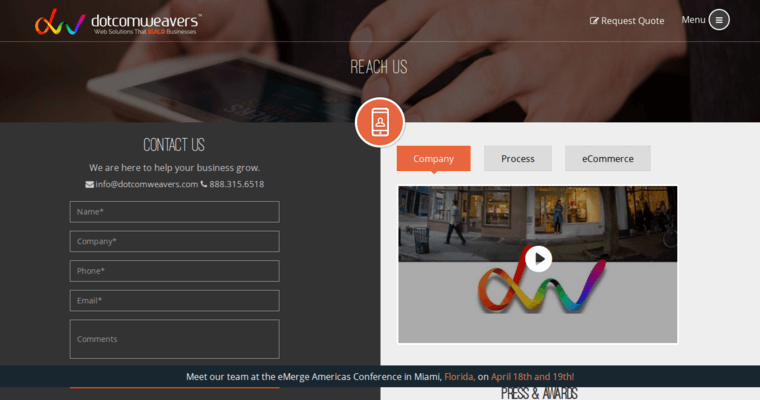 The professionals at Dotcomweavers create web applications and eCommerce sites that assist businesses in expanding and spreading the word about their products and services. Dotcomweavers focuses on businesses from various diverse industries. Dotcomweavers has been recognized by several awards institutions for its high-quality work, specifically 10 Best Designs, Clutch and the 2013 Webawards. Amit Bhaiya is the co-founder at Dotcomweavers. Mayank Agrawal is the other co-founder for the company. The business is headquartered in Paramus, New Jersey which is situated just outside of New York, New York. The skilled staff consists of close to 50 individuals.